Nathalie here to share my card using the main kit. 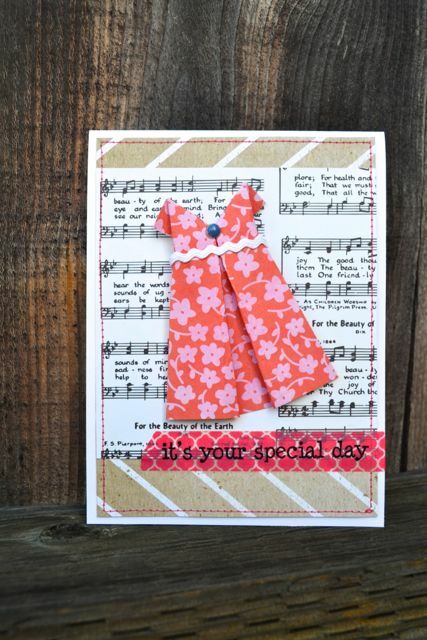 I had fun creating this card with the help of a video tutorial explaining how to make an origami dress (http://www.youtube.com/watch?v=qGEq5b_57DQ). 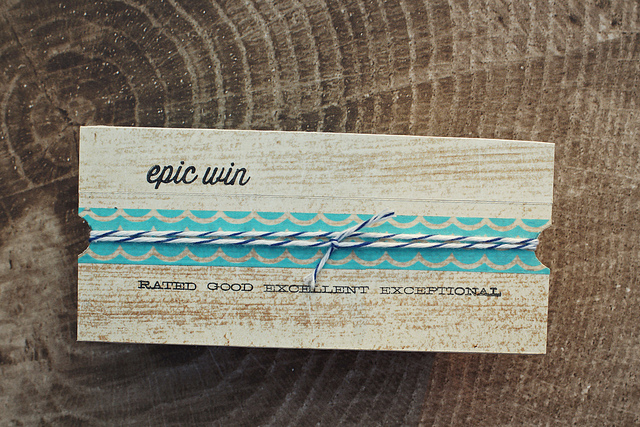 I added a bit of washi from a previous kit, some ric rac and an SRM sticker from my stash. Here is Amélie and today, for me, a travelling card! To make it, I used Main kit and Add-ons kits. Only the doily is from my stash. 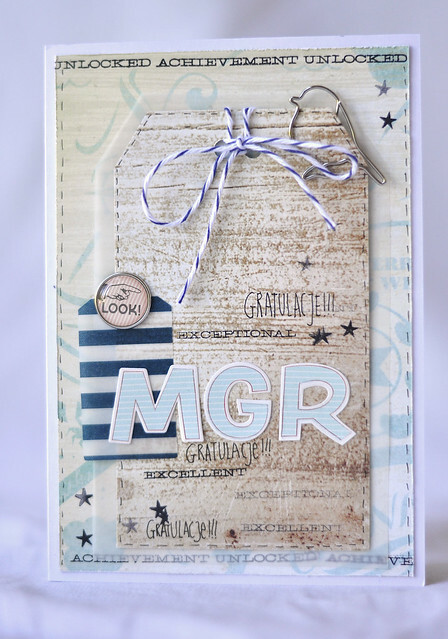 It's Kasia here and I have a rather masculine card created with main July kit and embellishments add on. I made it for my brother's graduation so I used calm colors and rather classic composition- the stamps from stamp add on kit were a good addition for this occasion! 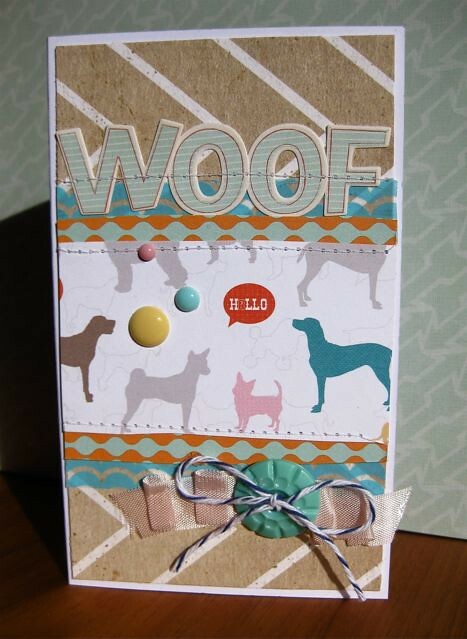 Gina here sharing a card created with the super cute doggie paper from the main kit. I've layered it here with a couple of other papers and washi. The alpha is from the 'Go Girl' embellie kit and to finish I've added a few enamel dots, button and ribbon from the 'Travel' kit Add-On. I hope they have inspired you to create a card. I love all the cards!! so inspiring! Amelie your card is stunning ! And I love the photography of it. Love all too, love the different style!! Great work girls!